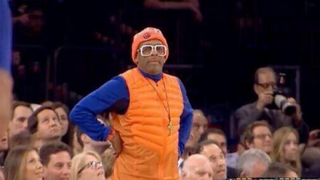 Spike Lee went to last night's Knicks game looking and acting like somebody's mama. Exactly. Spot on, and hilarious. And with all of that black-mama irritation in Spike's wrists and elbows, Twitter couldn't help dragging him for it with #MamaSpike.